The fifth running of the annual IOI Course in Ocean Governance for Africa finished on the 28th of September. 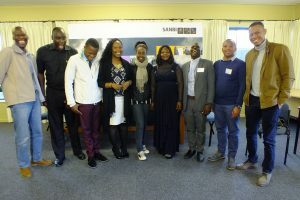 The course was hosted at the premises of the IOI-SA partner and host institute, SANBI, at the Kirstenbosch National Botanical Gardens, Cape Town. 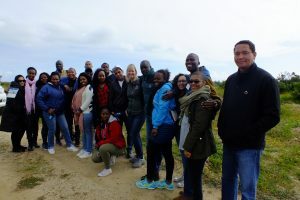 This year’s twenty delegates came from a diverse range of professional backgrounds, and represented ten African countries, including Cameroon, DRC, Egypt, Ghana, Kenya, Madagascar, Namibia, Nigeria, South Africa and Tanzania. This year’s course was characterised by lively debate, focused discussion and an abundance of laughter. The participants enthusiastically engaged with the course material throughout four intensive weeks of lectures from over 40 regional and local experts, representing over 30 institutions. 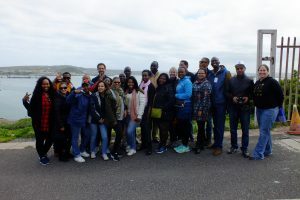 Each week included at least one field trip to a local point of interest that provided in-situ examples of ocean governance issues including; port management, invasive species management, marine debris, urban estuary management and coastal erosion. Two of the field trips were to sites around which the marine spatial planning group exercises were designed. For this exercise the participants needed to consider different user groups in a particular marine space and map where there could be potential compatibility or conflict and how conflict could be mitigated. 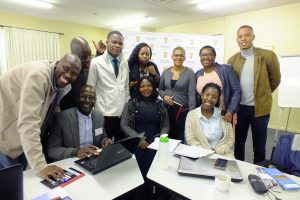 The participants were divided into two groups representing the Nairobi and Abidjan Conventions for their Regional Policy Exercise which they worked on throughout the four weeks of the course and presented on the final day of the course. Their reports can be viewed below.